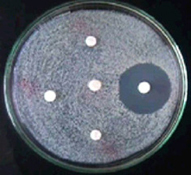 In nature, Saccharomyces yeasts manifest a number of adaptive responses such as filamentation, invasive growth, flocculation or biofilm development to overcome adverse environments. Certain Saccharomyces wild yeasts, namely "flor yeasts", acquired also the ability to form a buoyant biofilm at the broth surface. We have described that mutations in a single gene, identified as FLO11, modified the codified protein as well as the control of its expression separating these "floating" yeasts from their non-floating ancestors. We are now involved in studding the regulation of FLO11 and we have described chromatin remodelling as a new mechanism involved in FLO11 activation. Those results can be applied in the control of biofilm formation with industrial applications during sherry wine production or in infection treatments as biofilm formation is essential for Candida albicans virulence. Fungi are plant pathogens responsible for most infection and loss in crops. Control systems for fungal infection are not developed and most antifungal compounds are environmental contaminants and are not totally efficient. It is now important to develop new strategies to avoid fungal infection based on identification of new compounds or new targets. In the last years, our group has been involved in the analysis of the mechanism of action for Osmotin, a tobacco antifungal protein, using S. cerevisiae as model. We are now focussed in studding the role for protein glycosylation in Ustilago maydis infection, mainly in the dimorphic switch that occur during the infection as well as during the interaction with the plant. The analysis of the expression of genes required for this dimorphic switch is also been analysed in our lab.